All I can tell you is that we all want rain!!!! 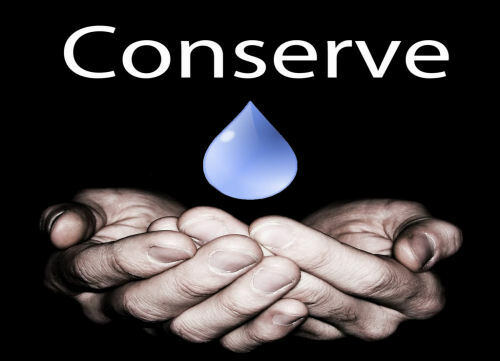 Unfortunately, that is not in our job description but, the best thing we can do is conserve water. I’m sure that you have all been trying to do just that. This last Thursday, I saw some things out for recycling in Lazybrook that I would like to talk to you about. 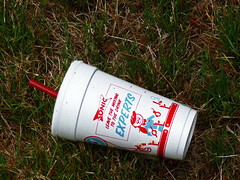 Some of the plastics were Styrofoam. I’m really sorry, but the city cannot recycle those; you will have to throw them away or find a use for them. We could always start a letter campaign to educate businesses to use more green packing material. You have asked me so many times when we will be getting the automated recycling with the rolling bin, like our trash containers. I spoke to Marilyn Leday, who has been the right hand of Ed Chin for many years. The company, Jaco Environmental, has a program for recycling refrigerators, freezers, and room air conditioners. Thirty six States are anticipating water shortages by 2016. Yet, the average American uses more than 100 gallons of water each day. I was out walking this morning and realized that I haven’t written a note to you about what to put in your green bins for quite a while. For instance, please flatten your corrugated cardboard, even if it’s a little box.